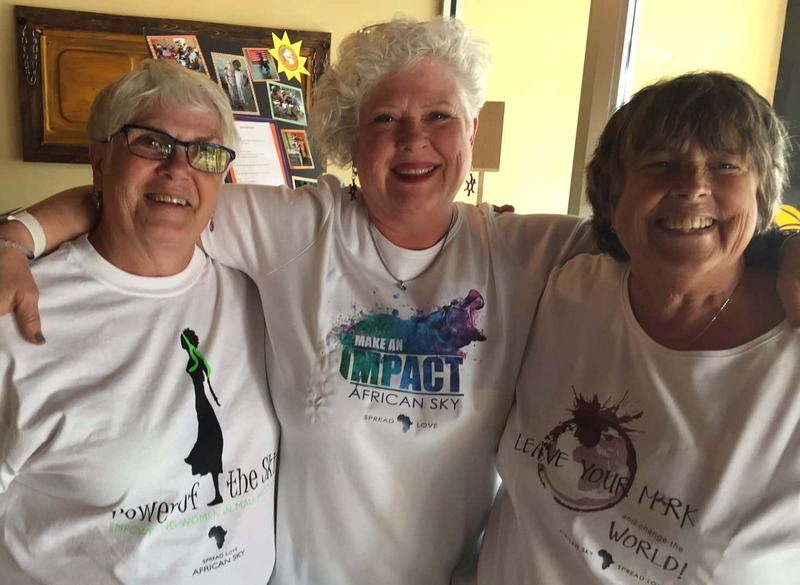 African Sky held an event at the Mucky Duck Brewery in May to benefit women in Mali in regard to literacy opportunities. Attendees learned how their support of literacy programs will not only empower women in rural villages, it will also strengthen entire families and communities. The event raised enough funds to send 38 women to school at the literacy center in Zeala for one year. Dozens of African Sky supporters enjoyed a night of literacy program information, food, brews, and fellowship. The brainchild of Helen McKee, the event allowed supporters old and new the chance to sample a flight of Mucky Duck microbrews, tasty sliders, and snacks in a space that encouraged camaraderie. Five lucky attendees received door prizes and an African Sky T-shirt or a bottle of African Sky wine. Each attendee also received a Summit Brew Path Passport to allow them to explore the area’s emerging craft brewery scene. African Sky successfully manages three adult literacy programs in three regions throughout Mali. In Zeala, Elizabeth Traore teaches literacy to an enthusiastic group who hosts a wonderful annual celebration where students receive certificates. In Dissan, local teacher Issa Sangare teaches young men and women basic reading, writing, and math. In Markala, our friends in the community group ABEF, along with Tamba Traore, organize a nine-month literacy and math program with women of all ages. We are grateful to everyone who made this special event happen, and a special thank you to the staff of the Mucky Duck for their graciousness and hospitality.